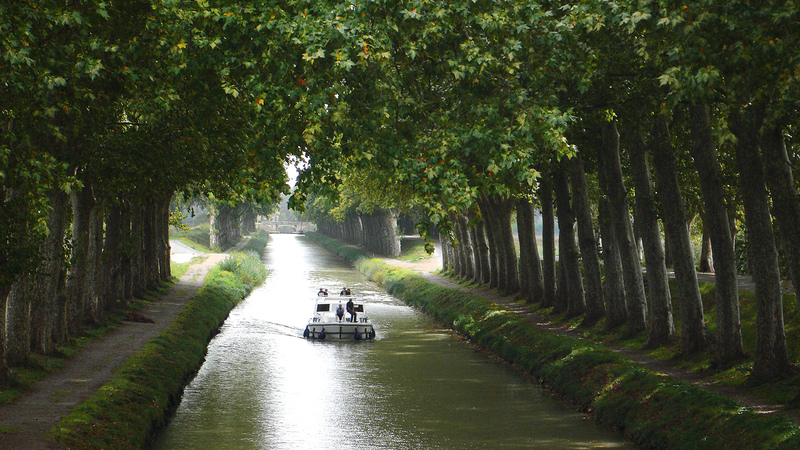 This cycling tour takes you from Toulouse to the Mediterranean Sea along the Canal du Midi. You ride on the hauling path or further to discover here and there an abbey, nice vineyards or a lake. You start your cycling holiday in Toulouse, where you already feel the way of life of the South of France, discover its gastronomy and wonder at its soft colours. You then ride through the Lauragais, a vast fertile plain dotted with nice churches and ride through Castelnaudary, the home town of cassoulet before reaching the cute port of Bram. You head then to Carcassonne and its famous medieval fortress before riding into Minervois, where you will pass many peaceful wine villages along the canal. You stop in one of them before going to your next stop in Béziers. Afterwards, the sea is only a few kilometres away. You reach first Adge and the Thau Lagoon. You ride the last stretch along the sea and arrive in the town of Sète and its port, the destination of your adventure. Touring bike adjusted to your size, equipped: front rack pack with an integrated file compartment, saddlebag, helmet (on demand), reflective vest, repairing toolkit with patches etc. We can also provide the appropriate equipment for children: baby seat, bike trailer or trailer bike depending on their age and size. Electric bikes are also available for a fee. Our word of advice: as we know from experience, we strongly recommend you to avoid wearing a backpack during your cycling trip. For this trip, we also provide the GPS tracks on demand in the GPS format at no extra cost.